It’s been awhile since I’ve posted about our apartment renovations. Things have gone downhill very fast. Our contractor left the country because “his brother was sick and dying.” He left his employees in charge of finishing the work, and his phone has been off for 3 weeks now. We were very upset with the fact that we couldn’t get in touch with our contractor, but we were at least happy his employees continued to come to work. They took plenty of days off and we had to watch them like hawks to fix multiple mistakes, but they continued working. Finally, last night they decided they couldn’t work anymore without receiving more money from either their boss or us. We have already paid for the work to be completed – especially since they are 2 weeks over schedule. We refused to pay them again, so they walked out last night. Luckily, there is very little to be finished now, but I am beyond angry about the situation. I filed a complaint with the Better Business Bureau, and I am waiting to see if the contractor ever comes back and contacts us. In the meantime, we are lucky we didn’t pay the final payment and we will use that money to finish the work with another contractor. My mom is in town visiting and MM and I wanted to take her to have some good Italian pizza. Our favorite to order in is Luzzo’s, but to go sit in Luzzo’s is not the most relaxing and company-enjoying environment (aka loud and very Naples). So, we decided the next best pizza is La Pizza Fresca. After a long time of struggling with all of the pizza options, my mom got the Asparagi (Grilled asparagus with robiola cheese and pancetta (Italian bacon)). I got the speciali de giorno – tonno pizza – with black olives, capers, San Maranzano tomatoes and basil. MM got the Margherita – as always. We all exchanged one piece each to have a sample of everything. It was heaven. The atmosphere is also very pleasant – nice service, good wine, and nice lighting. The prices weren’t too bad – with an appetizer and pizza each and a bottle of wine, it was about $50 each. 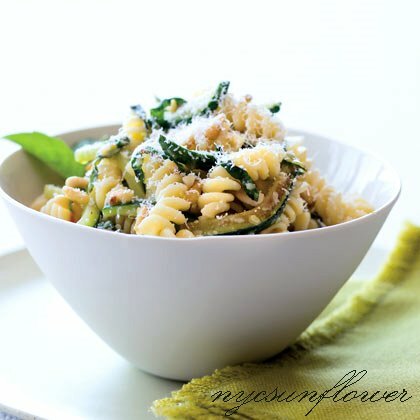 Another yummy and easy pasta recipe that incorporates one of my favorites: zucchini! MM and I love blues joints. When we first began dating, one of the things I fell in love with was MM’s passion about listening to some good blues. It’s so old world New York, and I love that. 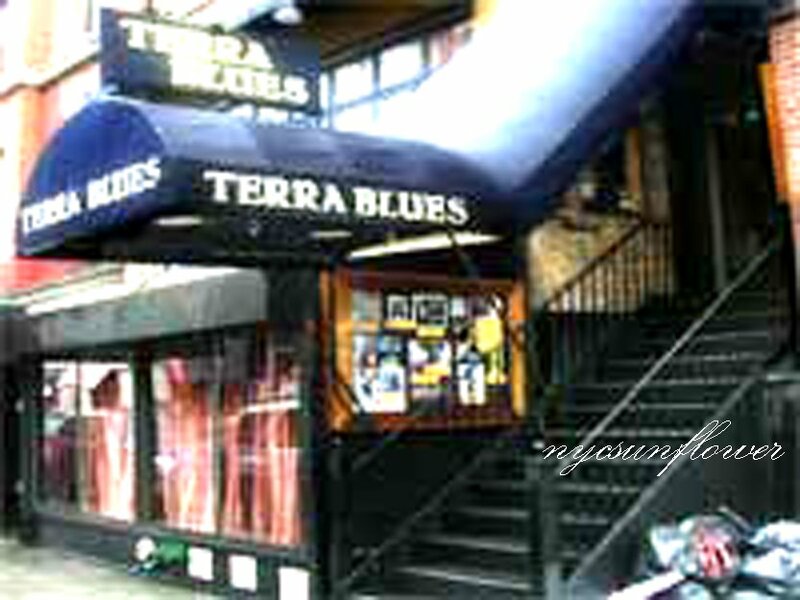 We have a few favorites places, but one I would recommend is Terra Blues. Its more upbeat and energetic than a few of the low key and laid back blues joints. It’s also less touristy than the Blue Note. We’re going to take my mom there this weekend – she’s visiting from Pittsburgh, and she loves the blues! MM and I love to decompress over a lychee martini and saketini a couple nights a week after work. It gives us a great chance to enjoy chatting with one another to learn how the other’s day went. The martinis don’t hurt either! MM currently lives in the West Village until we’re married and I live in Gramercy. It just so happens that one restaurateur must have had us in mind when he created Chow Bar in the West Village and a sister restaurant, Chino’s, in Gramercy. Both have the best lychee martinis and saketinis! I highly recommend stopping in – either east side or west side! Being from Pittsburgh (aka “da burgh”), I had never had Korean BBQ before living in NYC. I also feel as though I am one of the privileged in NYC to know just how amazing this “other Asian” food is. I work with primarily Koreans and our offices are near KTown, so I tend to get my fix pretty often. MM and I have decided that Don’s Bogum is by far our favorite – not only for the food but for the more modern decor and the manager who always pours over us when we walk in. When we’re not in the mood to venture all the way up to 32nd Street on the weekends, we head to Do Hwa on Carmine. It’s a great restaurant with good drinks, nice atmosphere, and nice service. But, something is still missing from the KTown experience. It seems that the restaurants uptown never have an issue with how many of the small plates your table can devour – they always bring more. 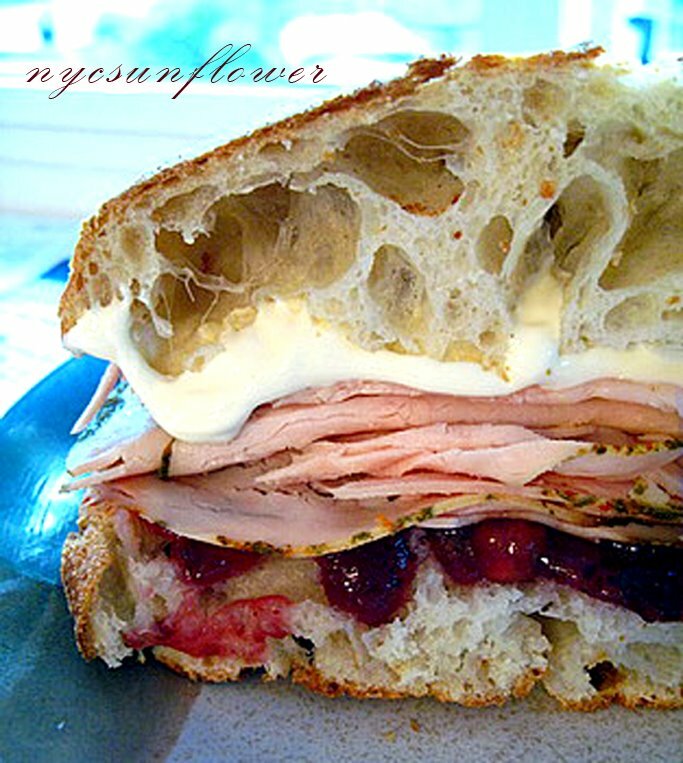 On Carmine, the service is slightly more “West Village” and they don’t give so freely. Being a patron on 32nd Street is definitely more spoiling, but I would recommend Korean BBQ over most restaurants any day.